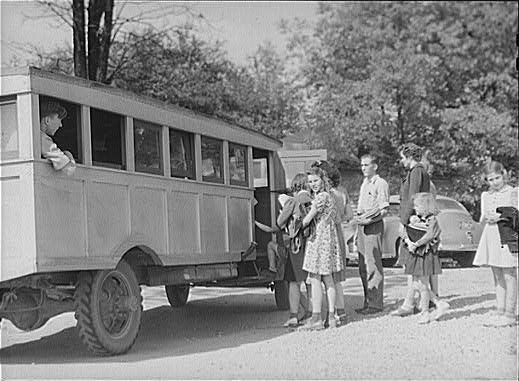 Schoolchildren and bus. Franklin-Heard County, Georgia. April, 1941. Photo by Jack Delano.